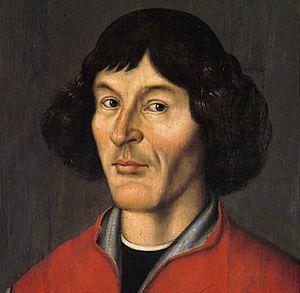 Copernicium (former Ununbium) is a chemical element in the Periodic Table. It is also named eka-mercury. It has the symbol Cn. It has the atomic number 112. It is a transuranium element. Using periodic trends, people think that it will be a liquid metal. It is likely to be more volatile than mercury. Ununbium was first made on February 9, 1996 at the Gesellschaft für Schwerionenforschung (GSI) in Darmstadt, Germany. Ununbium was made by nuclear fusion of a zinc atom with a lead atom. The zinc nuclei was bombarded on to a lead target in a machine named a heavy ion accelerator. The element was made in 2000 and 2004 at the Joint Institute for Nuclear Research in Russia. In May 2006 in the Joint Institute for Nuclear Research checked that it had been made using a different method. They identified the last atoms that were made from radioactive decay of ununbium. In February 2010 IUPAC officially approved the name copernicium and symbol Cn. Copernicium Facts for Kids. Kiddle Encyclopedia.